Hang Out is currently running an offer for unlimited 'skinny' pizzas and alcoholic beverages for only INR 1,099. Their daily service for this promo is limited to two hours. They should add more games like darts, board games and drinking games. 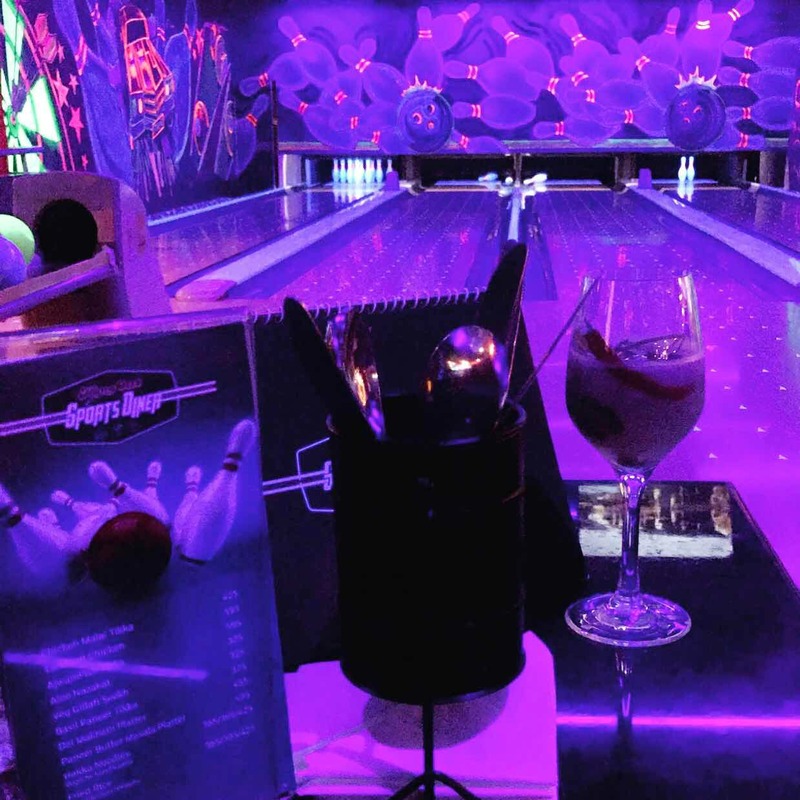 The entire place has dim lighting, and the bowling alley has elements that glow in the dark. The walls have glow in the dark graffiti that makes it all the more interesting. The first floor is entirely dedicated to a kids' play zone. So, if you are in the mall with your kids, you can set them lose in the play area.